Speaking at the ASEAN-India Business and Investment Meet, he said India’s growth rate has picked up in the last 25 years and investors look at the prospects of country’s economic growth over the next 2-3 decades. 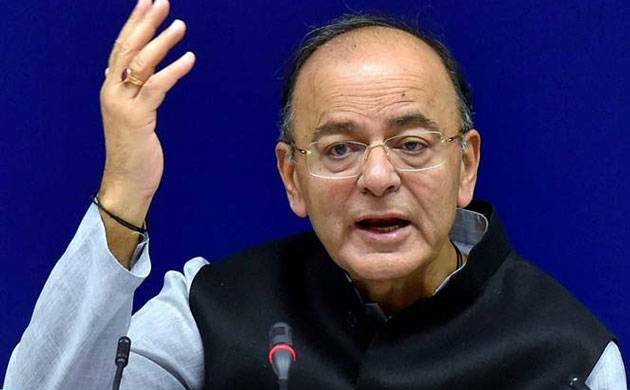 Finance Minister Arun Jaitley on Tuesday invited ASEAN nations to invest in India, especially in infrastructure and services, saying the country is getting globally integrated in terms of trade and investments. “We in India offer great opportunities in terms of large infrastructure investment that we need. There is an infrastructure deficit that we have in India. We want India’s domestic manufacturing to grow. In services sector we offer a great potential in terms of investment,” Jaitley said. India has already demonstrated it has capacity to grow during adversities, he added. “The confidence of new India is, that it is getting globally integrated and this opening out in terms of trade, investment has certainly brought not only additionality of resources, but significantly improved upon India’s own competitive strengths,” he said. Jaitley said the best of the relationship between Association of South East Asian Nations (ASEAN) and India would emerge in the next 2-3 decades. India and the 10-nation bloc signed the FTA in goods in 2009. Under the pact, two trading partners set timelines for eliminating duties on maximum number of goods traded between the two regions. The 10 members ASEAN members are Brunei, Cambodia, Indonesia, Malaysia, Myanmar, Singapore, Thailand, Philippines, Laos and Vietnam. Jaitley said India and the ASEAN group houses 2 billion population and trade can give necessary impetus as the economies expands. “More opening out creates more investment, more investment creates more economic activity, creates more jobs, prosperity and having benefited in last few decades from this experience it is quite obvious that in the next two-and-a-half decades this very sizeable part of the global population which had conventionally lagged behind....would be able to expand its mutual trade,” he said. India’s exports to ASEAN increased to about USD 31 billion in 2016-17 from USD 25.15 billion in the previous fiscal. Imports too grew to USD 40.61 billion in 2016-17 from USD 40 billion in the previous year.